Welcome to the online home of the Bushi Natahn Association. 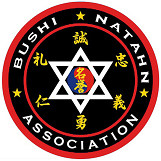 The Bushi Natahn Association exists to act as a governing body for the Bushi Natahn style of martial arts. The Association was founded in 2013 in anticipation of the growth of the style. All schools that teach this style of martial arts are bound by the guidelines established by the association. All schools who are officially sanctioned to teach this style of martial arts by the association will be listed here. On this page you can learn more about the history and philosophy of the style, find a school near you, see a list of instructors, and black belt practitioners, and more. Please enjoy your visit. We are continually updating our website. If there is something that you would like added, please connect with us via Facebook. Copyright © 2019 Bushi Natahn Association. Powered by WordPress. Theme: Esteem by ThemeGrill.